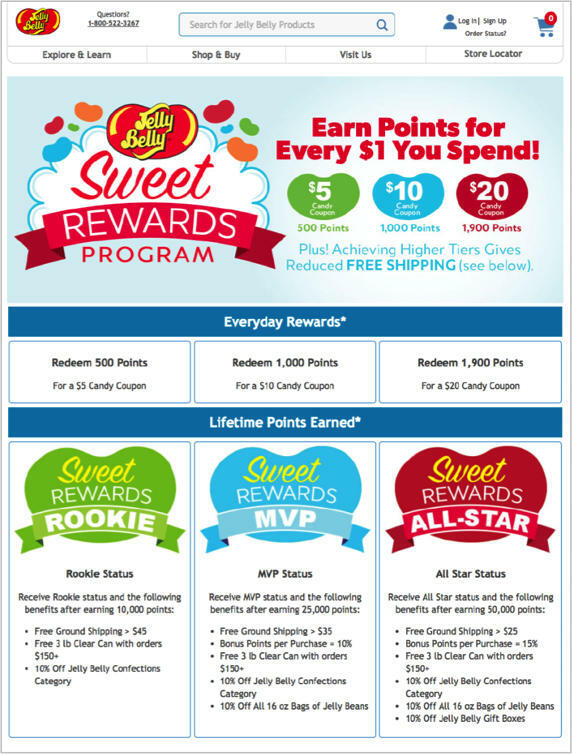 Loyalty rewards programs can significantly increase customer engagement and retention. However, to make a loyalty program successful, you must promote it aggressively and get your users to adopt it and engage with it. The objectives for a good loyalty program promotion campaign are twofold: creating awareness about the program for new customers; and engaging already-enrolled customers through targeted campaigns. Consumers are enrolled in an average of over 30 loyalty programs each but they are active in fewer than half of those! The first step in making sure your program belongs to the right half is to create an exciting rewards program page, with a dedicated URL, that concisely explains the program and makes users feel special. Earning points. Rather than creating a simple "points for purchase" program, allow users to earn rewards for other actions, such as social advocacy, writing reviews, etc. Also offer an enrollment bonus to get them started. Redeeming points. Provide attractive redemption options that are both achievable and valuable. Loyalty tiers. Design the program to make your best customers happy. Include both material and experiential rewards for higher-tier users so they feel truly special.